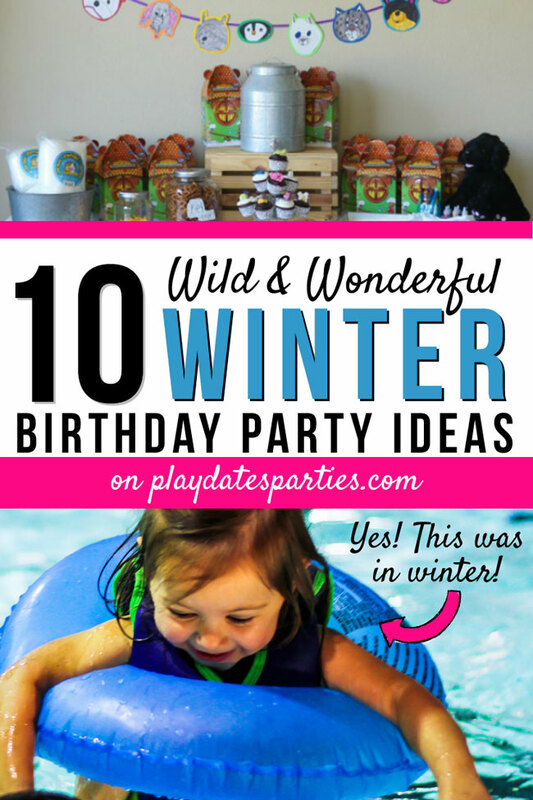 Stuck trying to come up with creative winter birthday party ideas? 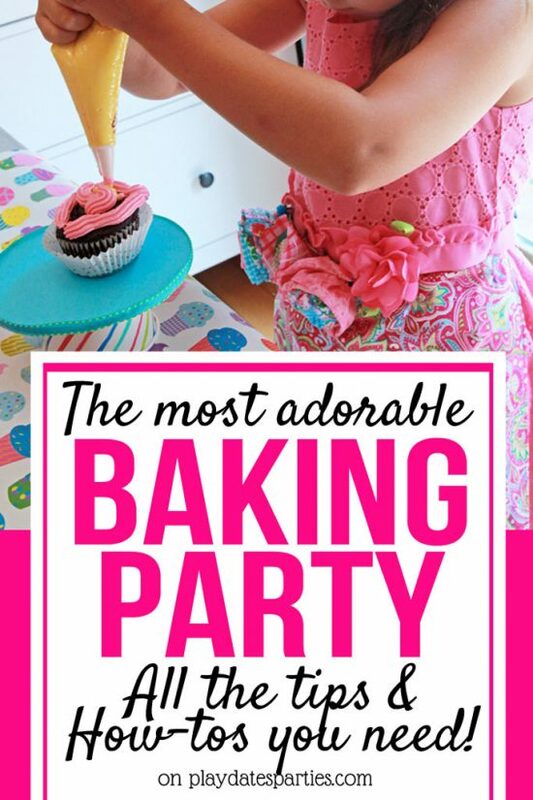 Here are 10 fantastic party themes and activities that kids of all ages will love! Parents of winter babies, I feel for you. From figuring out what to do with a gaggle of kids indoors for a couple hours to praying that the weather doesn’t keep guests away, it’s a struggle to host birthday parties during the coldest months of the year! Well, fear not. 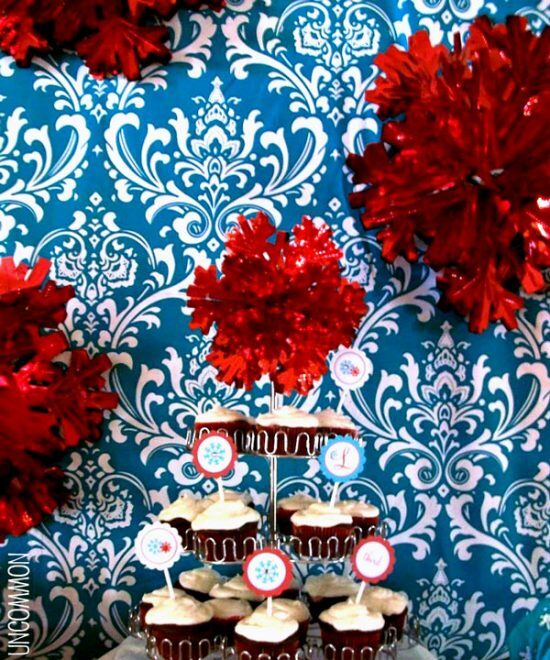 There are some birthday party themes that are actually perfect for wintertime. Take a look at these winter birthday party ideas that your kids will love…and they can all be held inside your own home! Build a Bear Parties are just the cutest, but they can get expensive fast! 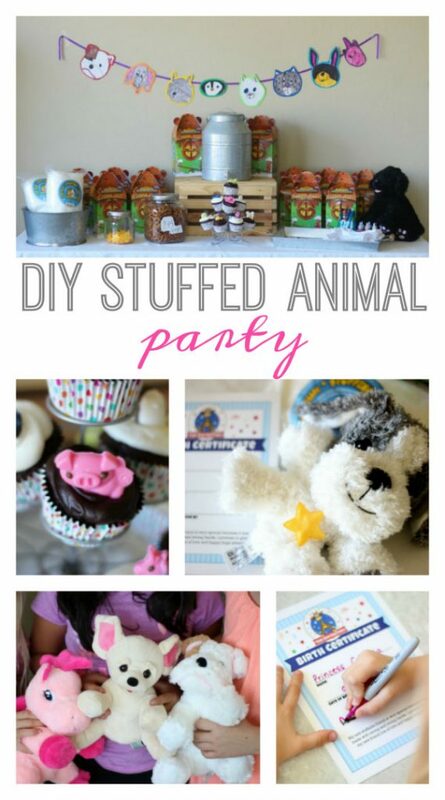 Thankfully, Brandy of Gluesticks Blog figured out an awesome tip to have just as much fun for a fraction of the cost with her DIY Stuffed Animals Party. Camping may not be the first thing that pops into your mind when you’re thinking about winter birthday party ideas, but just imagine how fun it would be! You can turn your living room into a campground with teepees, plenty of faux greenery, and a fake fire pit. Make some amazing marshmallows, drink hot chocolate, and munch on camping themed snacks. To make it even more memorable, close the curtains, turn down the lights, create a starry scene with a star light projector and have the kids tell scary stories around a fake indoor campfire (just add some twinkle lights, and it’ll be a hit). Your little one’s friends will be talking about it for weeks! Thought pool parties were only an option in summer? Think again! This photo was taken from my niece’s birthday party a few years ago…in mid-February. It was freezing cold outside and we were all enjoying a dip in the water. I also love the way this ‘Swimsuits and Snowballs” winter pool party combines the fun colors of pool parties with floating snowflakes. So simple and so adorable! If your neighborhood has an indoor pool, you’re set! And, if you’re lucky enough to live close to an indoor water park, you’re guaranteed a hit! Indoor pool parties are less about decor and all about fun, so just remember to show up with some fun snacks, a few small and creative decorations, and an awesome party favor. 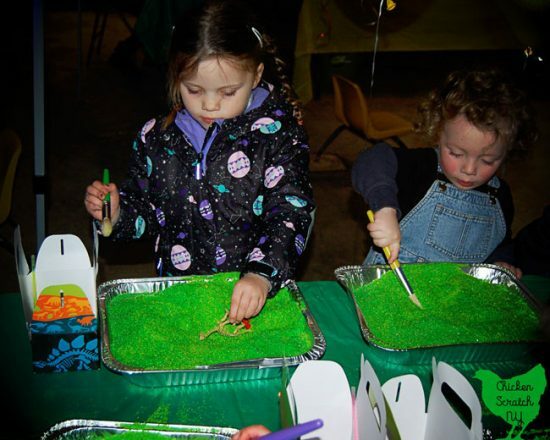 I don’t know any kid who wouldn’t love to dig for dinosaurs, which makes this Dino Dig party from Chicken Scratch NY so ridiculously cute. Best of all, they held the dig activity in the garage, so no worrying about messing up the house! This is probably the ultimate of all winter birthday party ideas for a bunch of kids with too much energy. And it doesn’t have to be an olympics year to host a party with this theme, either. Sled Pulling relay: Attach some heavy twine to a laundry basket, and put the kids in teams of two. Set up a start line and a finish line and let them race to the end! Minute to Win It Games. Play Party Plan has a fantastic list of minute to win it games that are fantastic for Winter Olympics themed parties. Create an indoor skating rink by having the kids slide around on carpeted floor with wax paper under their feet, or socked feet on a wood floor. One word of caution: Fake sensory snow is a ton of fun, but it can get messy fast. You’ve been warned. 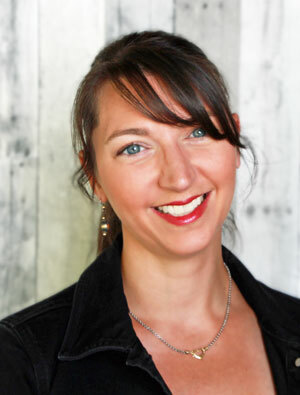 Buying lots of licensed decorations for a popular party theme can get pricey fast. 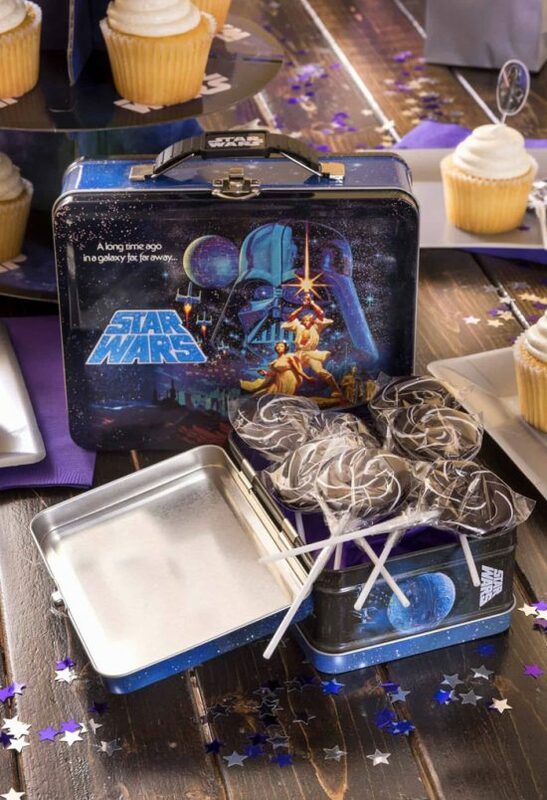 Amy from DIY Candy shows how to host a budget friendly Star Wars party with the cutest R2D2 cup crafts to go along with it. Is your child begging to have sleepovers, but you’re not really ready for it? Have sleepover themed party instead! Invite kids to come over for a late afternoon party wearing their pajamas and serve breakfast foods (or their look-alikes) for dinner. One popular way to decorate for a sleepover themed party is to simply dress up your table as though it’s a bed. Add a fake headboard against the wall and add pillows. Easy and cute! Bonus: This is one party where I would have no problem letting the kids chill out in front of the TV with a movie and some popcorn. After all, that’s a traditional sleepover activity, isn’t it? But that doesn’t have to be the whole party. 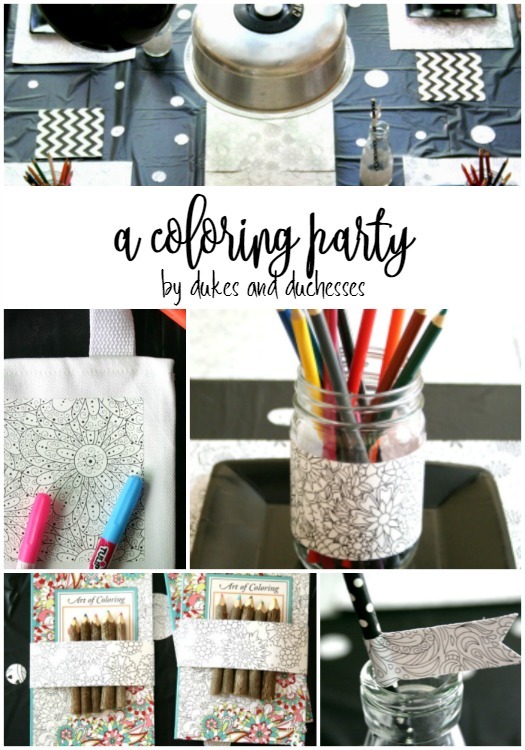 I love the ideas of letting the kids color in pillowcases with fabric markers and decorate flip flop ‘slippers’ as engaging activities that also double as party favors. Spa Parties are always fun for girls, but I’m in love with the way Sunflower Mom organized the timeline for her daughter’s spa themed 10th birthday party. I can’t guarantee that the weather will hold out for you, but with these 10 awesome winter birthday party ideas, you can definitely have a blast celebrating those special littles in your life. Do your kids have winter birthdays? Did I miss any winter birthday party ideas? Share them in the comments! I love the indoor camping party idea! I can’t tell you how many of my poor February born daughter’s birthdays were cancelled from snow. Winter birthdays are tough. These are such great themes for those cold months :). Your poor girl! On the bright side, though, she has a fantastic reason to celebrate during some of the gloomiest months. Is there any better reason to be happy than a birthday? Thanks so much for stopping by! Oh, great post! My daughter will be two in early February. We haven’t really gotten to a birthday party age, but I have already thought about the fact that winter birthday parties could be tough. I love the camping idea! And one of my own most memorable parties from when I was a kid (even though I’m a spring baby) was a pool party. Thanks for the ideas! Happy birthday to your daughter! Two is such a cute age. I’m sure you’ll do great when it’s time for her birthday parties! I keep thinking we’ll do something outside the house, but then I still overdo it. It’s a sickness, really. Best of luck on paring down. If you figure out a secret to it, let me know. ? The winter olympics party sounds like so much fun. After being inside all winter, the actives are perfect for burning off some energy. I can only imagine the giggles that will follow along with the fun activities. Thank you for sharing! I’m definitely an advocate of sending kids outside to release as much energy as possible. Especially for birthday parties! 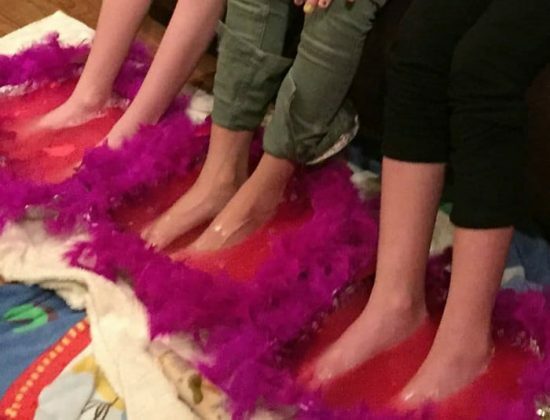 Your girls are the perfect age for a sleepover themed party! So creative! I have four kids and not a single winter party…go me! I swear everyone in my family has a winter birthday. Where were these ideas when I was a little girl? Love these ideas! Pinning! Most of my husband’s close family has winter birthdays, and both of my siblings were winter babies too. That said, I don’t remember their birthdays being as fun as some of these, either! What an adorable theme! Let me know if you share pictures! The two times I hosted home birthday parties for my December birthday girl were the best! They really worked out just fine. One theme was geology (uh, thanks for that theme, kid!) and the other was snow. The nerd in me thinks that a geology theme could be a lot of fun. Of course, snow is always classic. Thanks for stopping by! Haha! We definitely want to avoid any mama losing her sanity! These are all really great ideas! I have one baby with a birthday at Christmas, so we try to do her friends party sometime in January after things have calmed down a bit. I wish I would have seen this before we scheduled it! Aw! Both my siblings are December birthdays, and it was always difficult to fit in a big celebration. Happy (very) belated birthday to yours! Great ideas, especially the indoor pool party idea. Water play is such a novelty during the winter months. Never would have thought of that, but it’s genius! 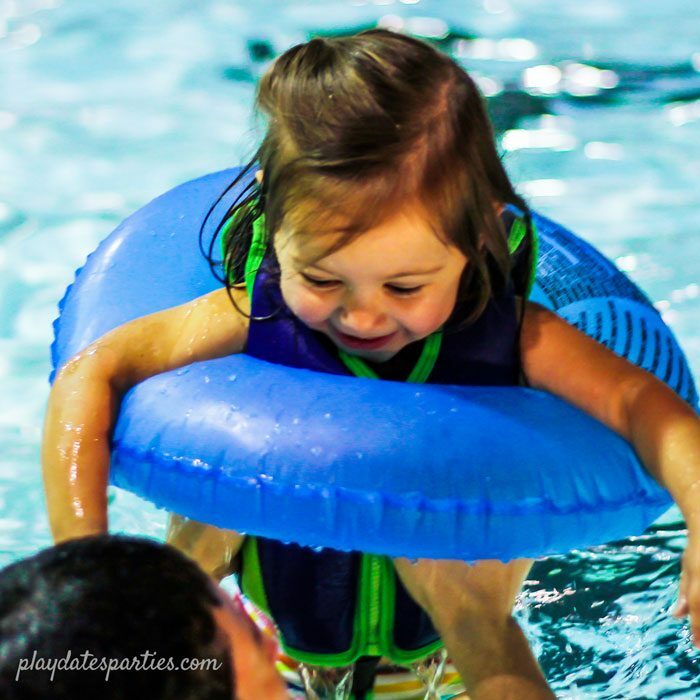 My kids love going to indoor pools and water parks in the winter. Well, at least they do until they walk outside with wet hair. ? Hi Leslie, winter birthday parties can feel a little dull, but with your ideas, there is no excuse anymore. I love the sleepover idea. A sleepover is what children dream of and the stuff nightmares are made of for parents. Your party idea is a good compromise until children are older. Ha! That is probably the best way I ever heard someone describe sleepovers. You should totally make a meme out of that. So creative ideas! I have two winter kids and hopefully, we will have a big blast party in upcoming winter. My son’s birthday party is coming up soon and have been wondering what kind of theme I could do. Thank you for all the birthday party theme ideas. I love the idea of doing a winter sports theme. He loves anything to do with sports.